"Sampath Speaking" - the thoughts of an Insurer from Thiruvallikkeni: commemorating 150 years of aboriginal tour ~ Pataudi lecture controversy !!! commemorating 150 years of aboriginal tour ~ Pataudi lecture controversy !!! In the last league match of IPL 2018, that solid defence stroke on 18.5 may be a talking point. CSK required 23 off 12 – and they had the most unconventional batting line-up yesterday. Suresh Raina not exactly middling the ball, tore Andrew Tye for 22 runs and the last ball, played a forward defence ! ~ then Mohit Sharma tried bouncer, only to see it vanishing into the crowds at long leg – MS Dhoni as emotionless as ever !!! .. ..
Cricinfo reports of a Q in a recent promotional event, MS Dhoni was asked: "[Erwin] Rommel, the legendary German general, said no plan survives contact. How do you relate that to cricket?" "After the first ball is bowled, it's only chaos," Dhoni replied. "What you are trying to do is you're trying to manage the chaos. It's not like a script that happens. My coach Stephen Fleming often comes and does that. He says 'mate, Lungi [Ngidi] can bowl the first over, then somebody else second' and so on. Yes, I know who are the bowlers and they will bowl at some point of time. But it does not work like that. It's about adaptability." T20 cricket is all about managing chaos. Former England batsman James Taylor has shown an unflattering light on sharing a dressing room with Kevin Pietersen, saying he has "no respect" for England's fifth all-time leading run scorer, calling him "embarrassing". Pietersen has long been one of the most divisive figures in England cricket, his undoubted talent and ability often clouded by personality conflicts that have been dotted throughout his career. 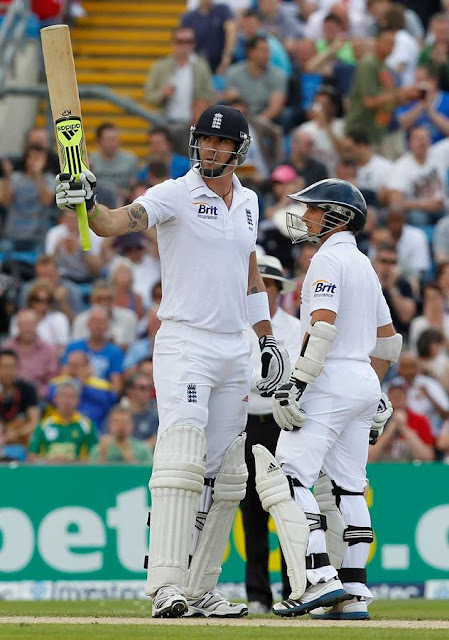 However, back 2012, Taylor, who stands just 170cm tall, recalls how the 193cm Pietersen took immediate issue with diminutive batsman being around the England team. Down under the commemorations to celebrate the 150th anniversary of the 1868 Aboriginal team that toured the UK continue, with Australia Post releasing a special stamp to mark the event. The stamp is the latest in a series of events to honour the milestone tour, with men's and women's Aboriginal XI squads to travel to England in June to mark the anniversary of the first international tour by an Australian team in any sport. 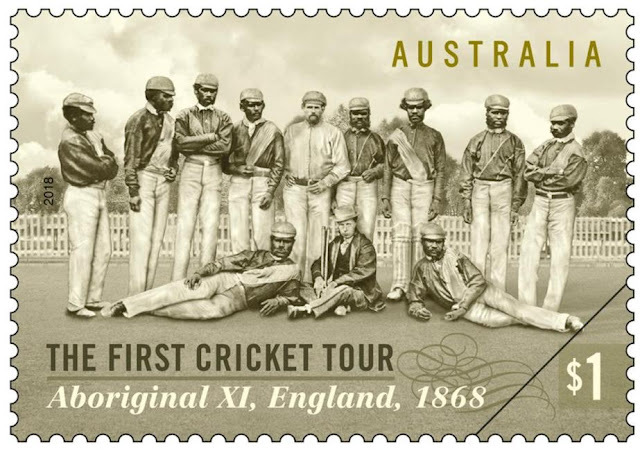 The First Cricket Tour: 150 Years stamp released on May 1 features 10 Aboriginal members of the original 1868 playing squad, as well as captain Charles Lawrence, an English professional who coached and mentored the Aboriginal players, and team manager W Shepherd. The stamp design, by Phil Ellett of Creative Ethos, incorporates player portraits from one of the few remaining photos of the Aboriginal XI taken while on tour in 1868, from the collection of the National Library of Australia. Cricket Australia has announced the squads, schedule, community activities and uniform for an historic tour of the UK for the nation’s best Indigenous players including a match against the MCC. Women’s and men’s squads will tour the UK for the first two weeks of June, with both to play under the banner of the ‘2018 Aboriginal XI.’ The event will commemorate 150 years since an Aboriginal cricket team became the first sporting team from Australia to tour internationally. The Royal Albert Memorial Museum (RAMM), Exeter is lending Aboriginal artefacts, newly identified from the 1868 cricket tour to the UK, for display at Lord’s throughout the 2018 season. Speaking on the squads, Cricket Australia National Talent Manager Greg Chappell said: “We have assembled two strong squads for this tour that include four players who currently or have previously represented Australia – Christian, Gardner, D’Arcy Short and Scott Boland - and a further six players on WBBL, BBL or State contracts last season. To recall some history, in 1868, a cricket team composed of Australian Aborigines toured England between May and October of that year, thus becoming the first organised group of Australian sportspeople to travel overseas. It would be another ten years before an Australian cricket team classed as representative would leave the country. The concept of an Aboriginal cricket team can be traced to cattle stations in the Western District of Victoria, where, in the mid-1860s, European pastoralists introduced Aboriginal station hands to the sport. An Aboriginal XI was created with the assistance of Tom Wills—captain of the Victoria cricket team and founder of Australian rules football—who acted as the side's captain-coach in the lead-up to and during an 1866–67 tour of Victoria and New South Wales. Several members of this team joined what would become the Aboriginal XI that toured England under the captaincy of Englishman Charles Lawrence. International sporting contact was rare in this era. Previously, only three cricket teams had travelled abroad, all English: to the United States and Canada in 1859, and to Australia in 1861–62 and 1863–64. Australian all-rounder Ashleigh Gardner has been named captain of the women’s 2018 Aboriginal XI that will compete in an historic tour of the United Kingdom. Gardner, who is one of Australia’s most promising young cricketers having already played 26 matches for her country, will lead a squad of 13. The squad is a relatively inexperienced one, with Gardner the only member with international experience. “I think all the girls are really excited to (represent their culture), she said. It will be the second time Gardner captains an Indigenous XI, as she was tasked with leading the inaugural women’s Indigenous team which toured India in 2016. The team will play four matches, with a marquee match against Surrey to be played at The Kia Oval, one of the venues where the 1868 team played. Both the female and male squads will also wear uniforms designed for them by Aunty Fiona Clarke, who is the great-great grand-daughter of Grongarrong (Mosquito), one of the stars of the 1868 team. The design is based off the commemorative artwork titled ‘Walkabout Wickets’ which tells the story of the 1866 Boxing Day match and the 1868 tour. Back home, BCCI members and the CoA are once again at loggerheads, this time over the latter's decision to pick Kevin Pietersen as the speaker for the Pataudi Memorial Lecture, to be held in Bengaluru next month. After acting BCCI secretary Amitabh Chaudhary questioned the SC-appointed Committee of Administrators’ decision to pick Kumar Sangakkara as the choice to speak in this year’s Pataudi Memorial Lecture, CoA chief Vinod Rai had said that the Board should look at Chaudhary’s suggestions of getting a former India player (who played alongside Pataudi) if Sangakkara wasn’t available for the lecture. But now the CoA has gone ahead and picked Kevin Pietersen for the occasion after Sangakkara made his unavailability known and Chaudhary is not happy at the turn of events. In another mail to Rai, in possession with CricketNext, the secretary has written: “The expression of happiness on it (General Manager Saba Karim’s mail that Kevin Pietersen has agreed to address the lecture) had left me wondering whether the Memorial Lecture was indeed MAK Pataudi Memorial Lecture or Sir Len Hutton Lecture or for that matter Sir Frank Woolley lecture. Board members feel that former Indian cricketers who played alongside the man famously called Tiger Pataudi would bring more value to the occasion and feel someone among Nari Contractor, Chandu Borde, Erapalli Prasanna and Abbas Ali Baig should be invited as the speaker. GM cricket operation Saba Karim had sent the mail to the CoA and the BCCI members asking them for the suggestion as the lecture is set to be held on June 12 in Bengaluru before the Afghanistan Test. The names of the speakers suggested by Saba were Sourav Ganguly, Kumar Sangakara, Kevin Peterson and Nasser Hussain.The topics were: A) Peace and sustainability through Cricket - Relevent since Afghanistan is a wonderful story. B) Behaviour and conduct of international players in the modern age - Players perspective. C) Cricket as an Olympic Sport - Way forward. Diana Edulji was the one who suggested Sangakkara’s name and Rai seconded it and asked Saba to speak to the former Sri Lanka cricketer. The Mansur Ali Khan Pataudi Memorial Lecture was started by the BCCI on February 6, 2013. The inaugural lecture was delivered by Sunil Gavaskar in 2013. But what remains etched in everyone’s memory is the beautiful fun-filled lecture from Farokh Engineer in Mar 2017. So on a day when there is no IPL ~ you have a lot on Cricket to read ! !